Mark Boyden set out from Ireland in the Spring of 1981 to explore the two western-most provinces of old Tibet, Ladakh and Zanskar, and to record their old traditions before they were inexorably eroded by modernity. 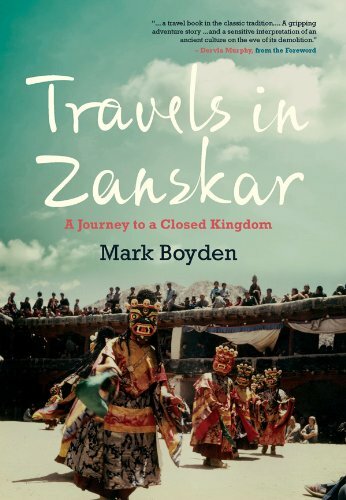 Traveling with a horse and his friend Paddy, Mark Boyden was one of the first Westerners to visit this closed kingdom. In this book, he has written a delightful travelogue of his remarkable expedition - the challenges of the landscape, the encounters with a succession of characters, and the details of life in Zanskar, in what Dervla Murphy calls in her Foreword, ""a travel book in the classic tradition."" In his youth Mark Boyden trekked into the Sierra Nevadas, the Canadian and American Rockies, the Pacific Coast Ranges, the Alps and the Himalayas. He is now a noted Ecologist and Environmental Educator, creator of the StreamScapes Aquatic Education Programme. He lives in Bantry, County Cork.